Typically one doesn't drive much faster than 80 MPH. Even in an emergency passing situation, it would be extremely rare to drive more than 100 MPH. In fact, as far as I know many cars have governors built into the engines that prevent them from going much faster. Yet in the United States, most cars made in the last 20 years have speedometers that go up to 120 or 140 MPH. Why? It seems to me like it might encourage people to drive faster. Or does it make the car "seem" faster if normal cruising speed is a smaller percentage of implied max speed? Others have focused on the psychological effect of the practice, primarily with relation to sales. But I'd like to focus on what one should think of with a speedometer that is free of these sort of plots. In places like Germany or the Isle of Man, there are highways on which there are no speed limits. Different countries have different speed laws. Having to tailor each car to its target market would increase cost and distribution complexities. 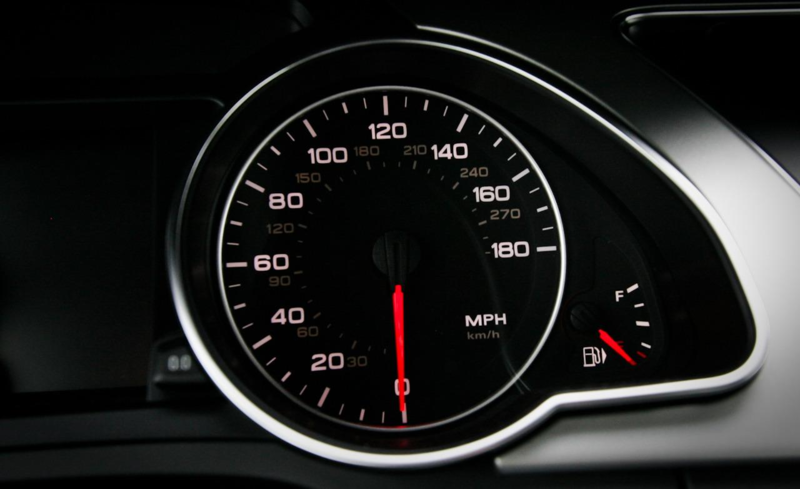 To continue the point above, imagine the state of California decides to remove speed limits on some roads - this could cause problems with some cars whose speedometer was designed with some local speed restriction in mind. Imagine your friend got stabbed, he's bleeding heavily, and you must rush him to a hospital. There are no ambulances in your village and the hospital is 10 miles down the highway. It's 3AM and there are virtually no cars on the road. When the life of someone is at stake, even the most law-obeying citizens might break the speed limit. While main role is to communicate speed, the speedometer is also representative to the limits of the system, basically telling users "You are this far from what this system can handle". This is an important point - whatever the normal range of speed is, it is still important for users to know what their car is capable of. In most cases this is important for marketing, but there's also a matter of safety here. If the limit set by speedometer is a false one, you risk people pushing the car over that limit ("it feels OK, surely the car can handle this"), with no indication when they approach the real limit. Driving at 160 MPH should be perceived slightly differently on each car. Now all of the concepts above are surely to be muddled by inconsistencies and marketing plot. But if you exclude the latter, or any other psychological design decisions, it is important to see the speedometer as a system-first type of device. According to former Nissan executive Larry Dominique, “Eighty percent of cars on the road are not designed for and will not go over 110 miles per hour,” regardless of what your speedometer claims. Moreover, tires usually can’t long endure being pushed over 130 miles per hour. The rationale being pointed out as "There’s a small matter of salesmanship." The answer has deep roots in an American culture that loves the rush of driving fast. The automakers' marketing departments are happy to give people the illusion that their family car can travel at speeds rivaling a NASCAR racer. 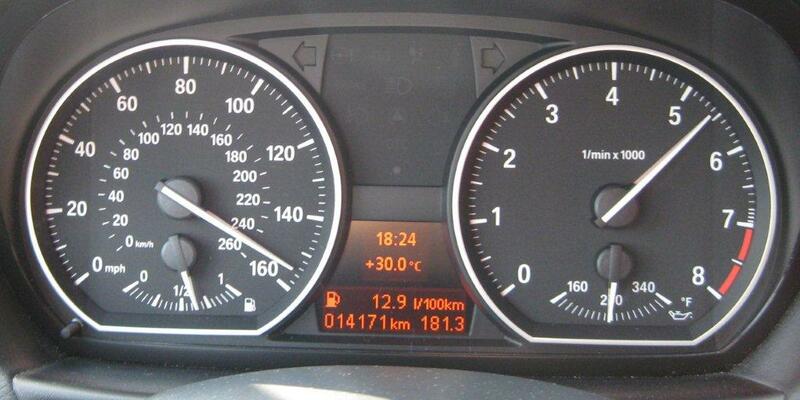 And companies often use one speedometer type in various models across the world, saving them money. In China and Europe, governments require that the top number on speedometers be higher than a car's top speed. 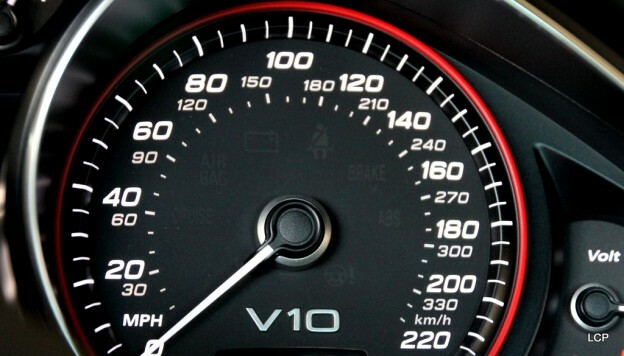 Cars sold in Europe, for instance, have faster top speeds than those sold elsewhere because they can be driven over 150 mph on sections of Germany's Autobahn. So to sell the same car or speedometer globally, the numbers have to be higher, said Kurt Tesnow, who's in charge of speedometer and instrument clusters for General Motors. TL;DR: A quick Google search indicates the primary factors are (1) marketing and (2) cost savings. The aspirational speed markings (e.g. above 130mph) are functionally useless for many cars, but they enhance the driver's experience by providing the illusion of performance for drivers who have spent tens or even hundreds of thousands of dollars on their car. Aspirational markers may be functionally less clear (more dense text), less accurate, and less safe, but as long as they meet a reasonable standard of safety and performance, it makes sense for UX to aim for better driving experience rather than driving function. For the same reason, mechanical watches are less accurate, heavier, and more brittle than digital alternatives but despite being less functional, they provide a better ownership experience for many consumers who are paying a premium not for timekeeping functionality, but for experiential satisfaction. From a UX perspective, it's probably better to provide a display (a gauge in this case) capable of showing all the possible values. Differing local restrictions (driving to other states or different countries). Use off the public highway (track days, testing, racing). Changes to vehicle parameters (more power, improved aerodynamics) either during production or after market. The downside (of a gauge) is that the wider the range you attempt to cater for, the less readable it is and it becomes more difficult to determine your exact speed (as the needle is raised, perspective can affect "read" speed). Interesting question. Looking around online, it seems to be a combination of marketing (makes the consumer think the engine is powerful) and manufacturing efficiency (can use the same speedometer in faster cars as well as minivans). It's often set so 65mph / 110km/h (which is a common speed travelled on the highway in north america, legal or otherwise) is on top. It makes it easier to glance down and see your speed on the highway. If it's pointing up, everything's good. Precision: Depending on the speed, speedometers can be quite unprecise (+/- 5 km/h). Increase the scale allows to hide that fact. Marketing: Have the same speedometer scale for a Porsche or a Renault does not allows the customer to simply estimate the performances of the car based on the speedometer. I have absolutely no proof of what I say, but I spent some time in the car market and this is the explanations I see. I imagine there's some parts commonality going on. 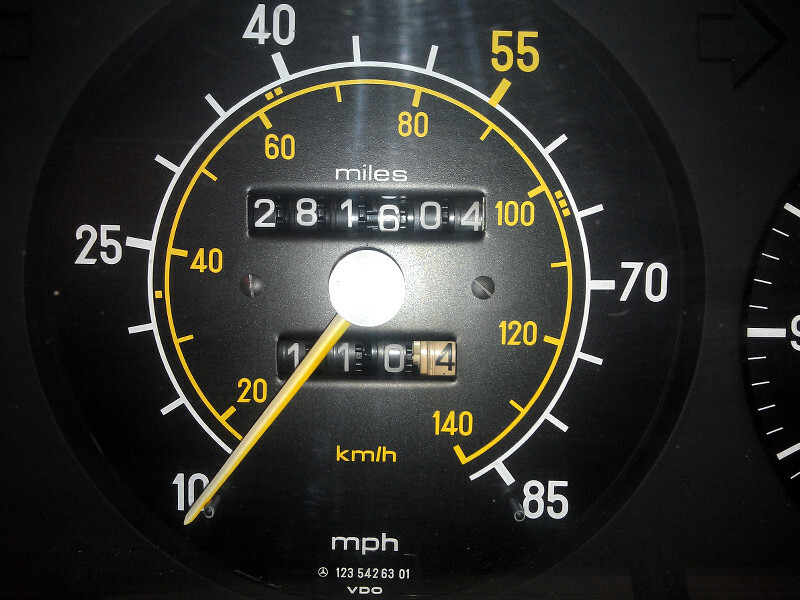 My Toyota has a 140 mph speedo which is shared among a number of models. Mine is a sports car that I take to the track and have hit 125 mph in. Track users kind of need the speedo to go that high, other people don't, but there's no extra cost in setting the speedo higher and being able to use one across family and performance models. So, it can make everyone happy without increasing costs. The UX aspect of this is that by squishing all the important detail into a smaller part of the dial it makes it harder to read and less sensitive to minor variations in speed - particularly if the speedo is trying to show both kms and miles. I think it's far more mysterious why some people would think that a speedometer would omit showing speeds above typical speed limits. The jurisdiction of laws is limited to specific roads. There are places where one can drive at higher speeds than highways, such as private race tracks. Also, if your speedometer was so in awe of typical speed limit laws that it stopped at the legal limit, how would you even know if you were exceeding the limit, and by how much? Zhaki nailed it. In addition, there is some benefit in a gauge of placing the most common reading in the middle of its range rather than close to the high end. Many measuring devices exhibit different systemic errors in the mid range than they do at the top end. Old fashioned voltmeters and multimeters behaved this way. you could get a slightly more reliable reading by choosing a scale that was roughly double what you expected to measure. If this is the pattern, then a speedometer that most often going to be checked at 65mph might be calibrated so that the top end is 130mph. In my car, that's about how it is. Moreover, 65mph is just about vertical ( the gauge is analog). So I get an intuitive grasp of my speed without even reading the numbers. This makes a real difference in terms of how long my eyes are off the road. But it's probably mostly marketing, and mostly deceptive marketing at that. To put it simply: people DO go that fast in conventional cars - when they take them to the race track. There are plently of open public race tracks in the United States, and they don't all require you to take or own a race car in order to drive them. In fact, there's plenty of races that pit completely unmodofied commercial cars against each other. Not to mention commercial cars are tested for top speed, and why bother changing the speedometer out after testing, when the test speedometers will do just fine? Not the answer you're looking for? Browse other questions tagged physical cars or ask your own question. Why do most dashboards use capital words? Why is a manual transmission so complicated? Why electric car windows can be automatic for driver's window and manual for others? 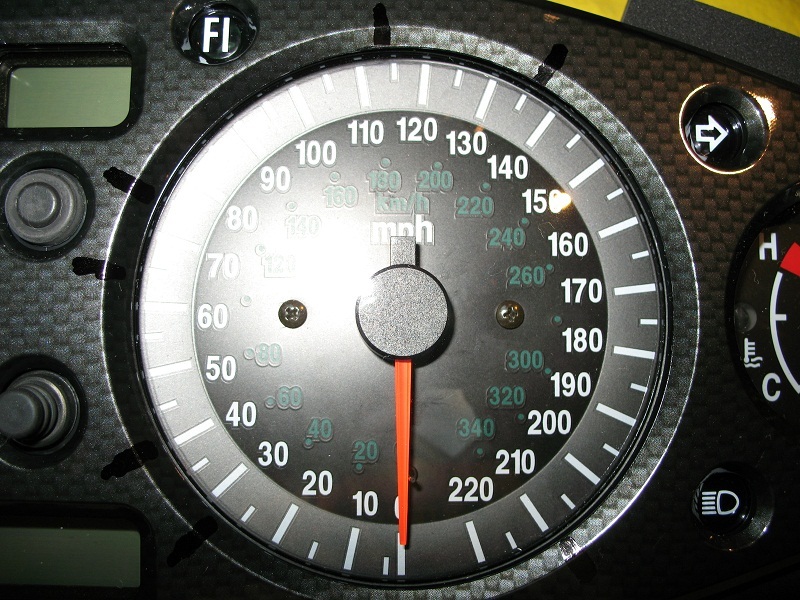 Are dial format speedometers more effective than numeric speedometers? Why do trunks for cars typically open upwards?